Home » Blog » Are Fiberglass Windows Really Worth It? So you are looking into new windows, but you may have some questions. There is nothing wrong with that. 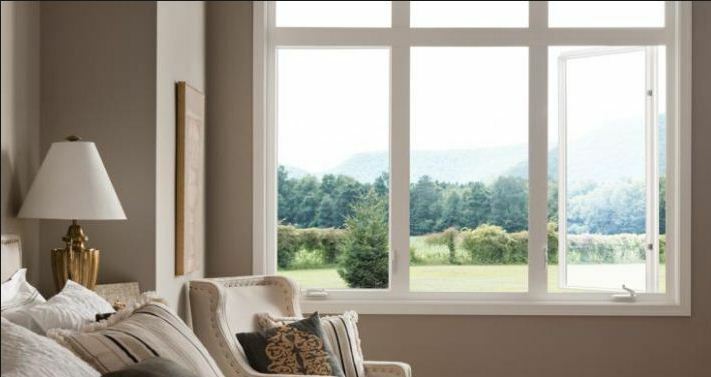 The prospect of replacing your windows may seem daunting and overwhelming. There are a lot of options plenty of reasons to prefer any given one of them. If you are seriously considering window replacement in or near Mesa, AZ, rest assured there are professionals in your area who can walk you through those options and make the process significantly easier. In the meantime, you may begin doing some research of your own. If so, you are likely to come across the possibility of fiberglass windows, and for good reason. They have increasingly become one of the more popular options on the market, and they are known for their reliability. But, alas, they do tend to be a bit more expensive—sometimes 30 percent more expensive—than their vinyl cousins, themselves extremely common. So it is only natural to wonder if the investment is worthwhile. You will find yourself spending a good chunk of change on new windows either way. The big question is whether or not spending a bit more will be worth it to you in the long run. And it creates extremely durable windows, too. Because of its strength, it is less likely than its vinyl alternative to warp over time. So while there may be some additional expense in the near term, that cost may pay for itself over time. Unlike wood windows, fiberglass windows require very little maintenance or upkeep. They are indeed designed to last for a very long time and require very little attention in the process. Note that as a visual matter fiberglass windows can be painted to your preference. By contrast, vinyl frames come in a variety of colors but are not painted. Some fiberglass windows look very much like wood, as well—if that’s what you are into. So are fiberglass windows worth it? If you are interested in windows that can last even longer than the 20 to 30 years you will get out of vinyl windows, then the answer certain may be, “yes.” There are rarely right or wrong answers in this kind of business, though. Much depends on what is right for you. If you are considering window replacement in the Mesa, AZ, area, consider reaching out to Cougar Windows & Doors. We have a long history of supporting our customers with service that is both friendly and professional. We look forward to meeting your window needs. You may visit us at 3820 E Main St Ste 5, Mesa, AZ 85205 or place a phone call to (480) 699-9066.